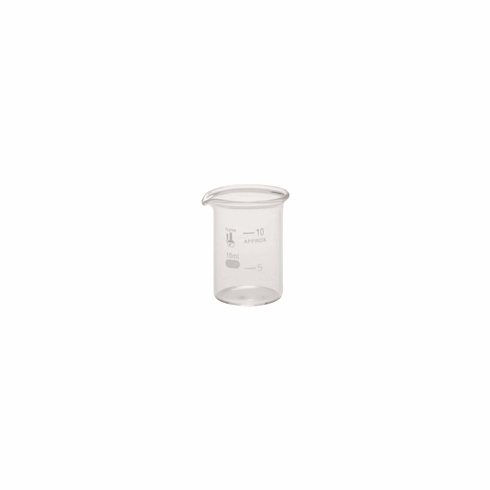 10 mL beaker, with spout, manufactured with uniform wall thickness, offers optimum balance between thermal shock resistance and mechanical strength. Corning Pyrex® Glass Beakers are designed with uniform wall thickness provides the proper balance between mechanical strength and thermal shock resistance. The 10 mL size is not graduated. Reference: ASTM E-960.